The Sheep Whisperer: "November Nibbles"! November is a wonderful time to take a few moments to reflect upon all the reasons we have to be "thankful" as a flock! So this blog is dedicated to listing some "Sheepish" reasons to be totally "Thankful" for our Shepherd. I hope Ewe enjoy glimpsing into how blessed Ewe & I truly are, as we look upon our lives under the care of the GOOD SHEPHERD! I'm thankful for the cooler "LOOK" at life my Shepherd gives me! I'm thankful that "2 heads are Better than one"& we both hear His voice! 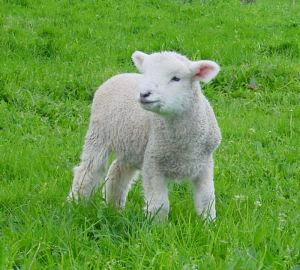 Ewe just have to be "Thankful", for the "Choice" spots the Shepherd leads us to! 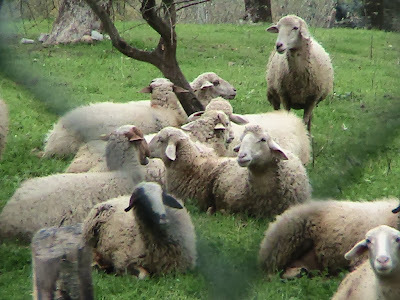 Thanks to our Shepherd, we are "Out-Standing" in our field! 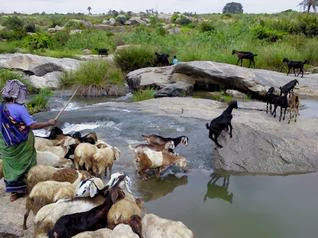 How does the Shepherd find such great water holes? 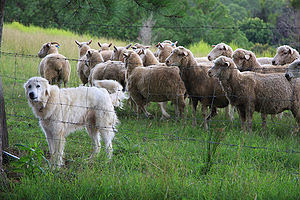 Don't Ewe know that it all "Lines up" for us here on the "Ponderosa"? Ewe have to be thankful, cause "There's no Place like HOME"! 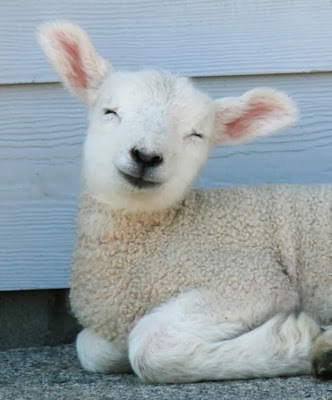 Ewe know that I peacefully feel at-"Home on the Ranch"! 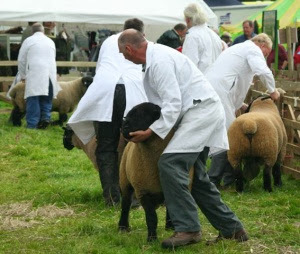 Healthcare is never an issue for Ewe while in the care of the Shepherd! Ewe do get the "Point" of our visit, don't Ewe? Oh, does that feel Good! But, don't Ewe think that the oil is a little too cold? Sheep are very thankful for the Protection the Shepherd provides on a daily basis. The world is a dangerous place for sheep, so the security system of the Shepherd must work!Fortunately, His Rod & Staff do wonders to keep predators away. 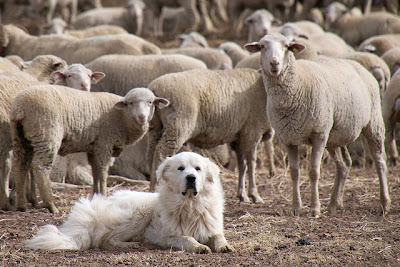 Sheepdogs also assist Him in protecting His flock. There are no situations in which the Good Shepherd wouldn't risk His life for His sheep! 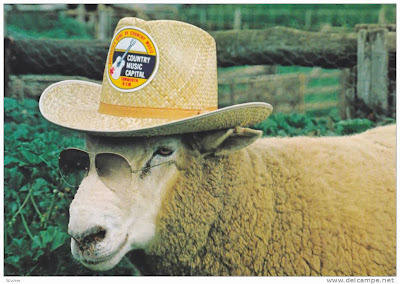 Don't mess with the Flock, or Ewe will get "Clocked"! 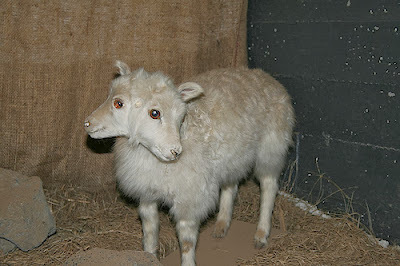 Ewe have to ask Ewer-self, "Are Ewe feeling Lucky"? When it comes to Protection, I got Ewe covered! Sheep have a great deal to be thankful for! Their Shepherd truly supplies all of their needs for life itself! What more could Ewe ask for? I'm so happy & loved that I feel like I can fly! I'm so Thankful every day I don't end up on a dinner plate! 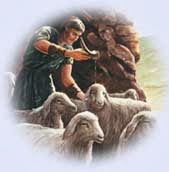 As Ewe graze in the field that the Shepherd leads Ewe to today, take time to appreciate the loving care & responsible leadership He provides in Ewer life. He is an Awesome Shepherd to follow! Ewe are welcome Jerri, & thanks so much for commenting ! It's encouraging & fulfilling to know that God is using the Blog to lift up & inspire one of His "Kids"! 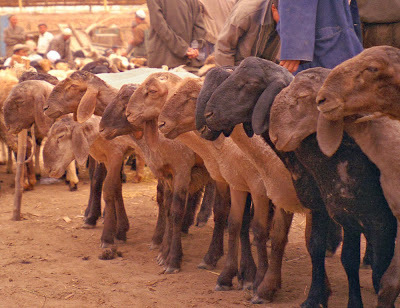 God Bless EWE as Ewe continue in Ewer walk with HIM!! 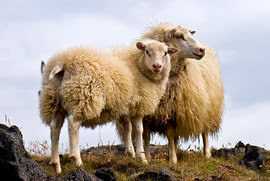 Thank Ewe Diane for Ewer encouraging words! My prayer is that the Lord will use the Blog to encourage His body! Shepherds are also in need of support , appreciation, & encouragement, because they have a very demanding calling. 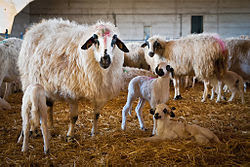 Thanks for commenting & Blessings to Ewe & Ewer family! 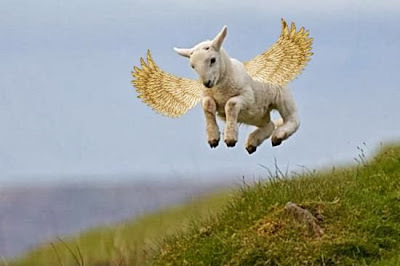 God Bless EWE!